For many people, their first exposure to credit cards (good or bad) occurs while attending college. Credit card companies often target college students on campus offering free food coupons, a T-shirt, or other incentives for signing up. Since the enactment of the 2009 CARD Act effective in 2010, credit card companies have changed marketing tactics — but students remain a profitable market, and the need for a student to have access to credit is greater than ever. Fortunately, according to a recent study by SallieMae, the credit savvy of students has improved significantly. This study found that 56% of students have a credit card and nearly two-thirds of students pay off their credit cards monthly (with or without help). One-fourth of students also make monthly payments higher than the minimum due, and 77% utilize mobile payment methods. Students use credit cards for convenience and emergencies, but also to start building credit. If you’re a student (or a parent assisting your student), you’ll find this article useful regardless of the reason you’re seeking a student credit card. Let’s get started with everything you need to know to find the perfect student credit card solution. You’ve Graduated! What to Do With Your Student Credit Card? Student credit cards function like regular credit cards but are designed for consumers who are over 18, are attending school, have little to no income, and a limited credit history. Characteristics of student credit cards generally include low credit limits, a low (or no) annual fee, and minimal extra features/benefits. Student credit cards are great for getting started managing credit and building a credit history. Some can also earn rewards such as cash-back or points that can be redeemed for gift cards, statement credits, travel, and merchandise. If managed well, getting a student credit card when you’re young can build credit history and make life easier in the future. Bottom Line: Student credit cards make it possible to secure credit early and start building a good credit history. Good credit makes renting an apartment, financing a vehicle, and even buying insurance easier and more affordable. With bad credit or no credit, these transactions may not even be possible on your own. Prior to completing a formal credit card application, you may want to see if you have any credit card offers waiting for you. It may seem unlikely as a student that there would be credit card offers available to you, but credit card issuers consider the student market desirable — so offers do exist. It’s worth the risk-free effort (no hard inquiry on your credit report) to check! Another great option for finding out if you’re targeted for credit card offers is the Card Match Tool. This tool is easy to use, doesn’t affect your credit score, and there is no hard inquiry on your credit report. Credit card issuers team up with Card Match to find consumers that match up with their credit card products. Bottom Line: Before you apply for a student credit card, check for existing credit card offers with card issuers or with the Card Match Tool. In addition, we’ve covered everything you need to know about pre-qualifying or finding pre-approved credit card offers. The best student credit cards earn rewards, and cash-back is one of the best types of rewards to earn — it puts money directly back into your pocket! Here are some of the top no-annual-fee student credit cards for earning cash-back. With their CashBack Match feature, Discover It® student credit cards maximize your first-year earnings. And the Journey® Student Rewards card from Capital One rewards good credit management by increasing the amount of cash-back received for making on-time payments. Hot Tip: Earn more cash with referrals! Some credit cards offer bonuses for referring others. Discover offers a $50 cash-back bonus for you and the person who uses your referral link to sign up and then makes a purchase. You can receive up to $500 per year with Discover Refer-a-Friend. Help pay for that spring break vacation with cash-back or travel rewards earned on your student credit card. Image courtesy of Wyndhamgrandclearwater.com. You won’t find a lot of credit cards designed for students that earn travel rewards. The best travel rewards credit cards normally require excellent credit, making them perhaps the next step after you’ve managed your student card well. We’ve included the Discover It® student cards in this list because their Cashback Match benefit can easily help fund a much-needed school holiday! Hot Tip: Don’t miss our articles on the best websites for cheap/discount student flights, as well as the best websites for student discounts on hotels and hostels! Preparing for college can be expensive, but student credit cards with a 0% APR period for purchases can allow you pay off that new laptop over time. Image courtesy of Shutterstock.com. Making a large payment (for tuition, new technology, or an emergency expense) becomes easier if your student credit card has a 0% APR period that allows you to pay off that purchase over time with no interest charges. And if you do have a high balance on an existing credit card, you can sometimes transfer that balance to a student credit card with a 0% APR for transfer balances and pay off that debt interest-free for a limited period of time. Bottom Line: You don’t have to pay an annual fee to secure a student credit card that offers rewards such as cash-back, points, or benefits like a 0% APR period. Secured credit cards work like regular credit cards in the sense that you make charges and pay your balance when due. Where secured cards differ is that these types of cards are designed for consumers with little credit, no credit, or bad credit. For this reason, secured credit cards require a security deposit that is held with the credit card issuer in order to be approved for the card. The upside of secured cards is that they grant the opportunity to build/rebuild credit where that opportunity may not otherwise exist. Issuers will also report your activity to the 3 major credit reporting agencies, which builds your credit history. Bottom Line: A secured credit card can be an excellent tool to start building a credit history, and it can serve as a step toward obtaining a non-secured credit card with greater credit limits, rewards, and benefits. Don’t spend more money than you have – Credit card debt is expensive. That $100 charge will end up costing much more as high interest charges are added each month you don’t pay off the balance in full. Pay off your balance each statement period – Not doing so results in exorbitant interest charges. If you can’t pay off your balance, pay more than the minimum due – Paying only the minimum due will cost you greatly in the long run. Always pay more than the minimum required amount, even if you can’t pay off the entire balance. Make more than one payment if you have extra money – There is no need to wait for your monthly bill to make a payment. If you have extra cash, you can make a payment on your account at any time. Make payments on time – If all you can do is make the minimum payment, at least do it on time. You can also set up automatic payments to make sure a payment is made, even if you forget. Communicate with the credit card issuer – If you accidentally miss a payment or make a late payment, it doesn’t hurt to call the credit card company. If you’ve been making on-time payments regularly, they may waive a late fee and/or document your file with an explanation. Keep the card active – Even making small charges and paying them off will keep your account active and help you build credit. Track your spending – Access your account online and keep track of what you’ve spent. It’s easy to forget how much you’re spending when making multiple purchases. Don’t lend your card to others – If you willingly give your card to others, you still remain responsible for all of the charges made to your account. As a student, you have a lot on your plate, and it’s easy to discount the value of managing your credit wisely. However, if it’s important for you to eventually have your own place to live, your own vehicle to drive, and be able to afford insurance on your possessions…you’ll need good credit! Build credit while you save with a Credit Builder account from Self Lender. Image courtesy of Self Lender. If your primary purpose for getting a credit card is building credit but for whatever reason you don’t qualify, there are other options. An alternative to securing your own student credit card is to be added as an authorized user on your parent’s or another trusting adult’s credit card. You’ll start building credit and potentially be able to enjoy some of the benefits that come with the credit card, but the primary cardholder has the responsibility of paying the bill. Being added as an authorized user comes with your own responsibility of learning how credit works, the benefits of building a good credit history, and communicating with the cardholder to make sure monthly bills are paid accordingly. If you cannot qualify for a student credit card due to being under 21, a lack of income, or other reasons, you can still obtain a credit card with a co-signer who is over 21. You will receive the billing statements each month, but you’ll jointly be responsible for paying charges on the credit card. If you want to establish credit without securing a credit card, it is possible. A Credit Builder account with the Self Lender company helps you build credit while you save. You do not need any credit history to apply and savings plans start at $25/month. How it works: When you apply, a secured loan is placed in a certificate of deposit account. You make monthly payments, and at the end of the term (12 or 24 months), the CD is unlocked and you receive the balance in the account. There is interest charged on the loan, but the Credit Builder account is a risk-free way to build credit because no hard pull is done on your credit report. Additionally, your on-time payments are reported to the 3 major credit bureaus, allowing you to build a good credit history. For more information on this, see our in-depth Self Lender guide. Bottom Line: If you’re unable to open a student credit card or secured card on your own, ask about becoming an authorized user, find a willing co-signer, or consider a Credit Builder account. What should you do with your student credit card when you graduate? Image courtesy of Jostens.com. Hopefully you plan to graduate from college one day — but what should you do with your student credit card once you’re not a student anymore? Should you close your student credit card, ask your credit card company for an upgrade, or apply for a new credit card? The answers will depend on how you’ve managed the credit you were granted with your student credit card(s). Let’s take a look at your options. If you’ve managed your credit well, you’ll obviously have more options than if you haven’t. Close the Card – One factor in determining your credit score is the length of your credit history. For this reason, you do not want to cancel your student credit card right away. Leaving your card active will improve your credit score over time. Use the card occasionally to keep it active, and be sure to pay it off each statement period. Ask for an Upgrade – Credit card issuers may have superior products that you may now qualify for, and you might be able to upgrade without a hard inquiry to your credit report. Apply for a New Card – If your upgrade options are not great with your current credit card issuer, just keep your student credit card and apply for a more rewarding credit card with greater benefits. Hot Tip: For a list of next step credit cards that deliver a variety of benefits and earn greater rewards, see our guide with recommendations for reward-earning credit cards for first timers with good credit, as well as The 10+ Easiest Credit Cards to Get Approved For. So life happened, and maybe you weren’t able to manage your student credit card as well as you expected. What should you do next? Continue to Manage Your Student Credit Card – Keep your student credit card open to continue building a credit history. Make your payments on time and refrain from new purchases; your credit will improve over time. Check Your Credit Report – Get a copy of your credit report to ensure there are no errors on it. Continue to track your credit score as you work on improving it. Adding New Credit – If you’re now employed full-time and receiving an income, you may be able to accelerate your credit repair with a secured credit card or one of the other alternative options discussed above. Hot Tip: You do not have to pay to obtain a copy of your credit report. You can request one for free, monitor your credit, and receive helpful advice at Credit Karma and Credit Sesame. College students can benefit from having their own credit card when it’s managed well. Parents and mentoring adults can help by educating students on how credit cards work and explaining the benefits that having good credit brings in the future. For example, establishing good credit early allows the new graduate to secure an apartment, finance a vehicle, and even secure affordable insurance on their own. To learn more about your credit, how your credit score works, what determines a good or bad credit score, and tips for keeping your credit information safe, check out several informative guides we’ve put together. Which credit card is best for students? The best student credit card will depend on your age, whether or not you have income, and your financial priorities. For example, if you need a student credit card for emergencies and for daily expenses, most available student credit cards will be adequate. Earning cash-back on these expenses with a card like the Discover It® student options would be a plus. A cash-back credit card earns you a percentage of cash-back on every purchase you make on the card. Some cash-back credit cards have bonus categories that earn a greater percentage of cash-back. For example, a cash-back credit card may earn 5% cash-back at grocery stores. This means that when you spend $50 on groceries, you will earn $2.50 in cash-back. The cash-back may automatically be applied to your statement, or you may have the option to redeem in various ways — such as requesting it be sent to your bank account, buy gift cards, use on Amazon, or donate it to charity. Each cash-back credit card has its own redemption options. 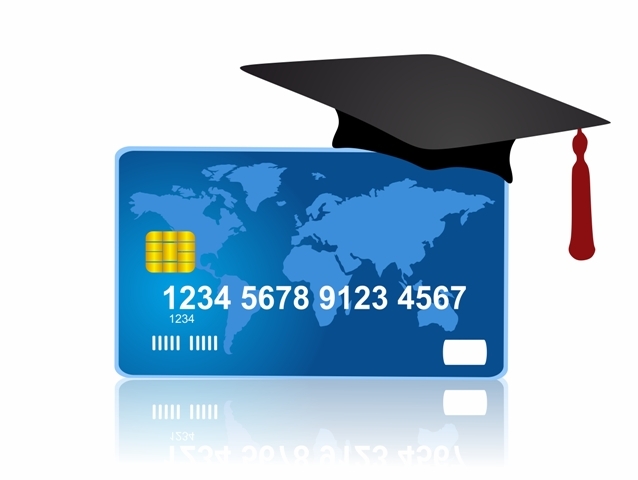 Do student credit cards have fees? Student credit cards charge fees just like regular credit cards. First, you may be charged an annual fee just for having the credit card, and you will need to pay the fee each year at your card’s renewal anniversary. It’s best if you can select a card with no annual fee when you’re starting out, and fortunately there are plenty of student credit cards that have $0 annual fees. Additional fees you can expect include balance transfer fees, cash advance fees, foreign transaction fees, late fees, and returned payment fees. Each credit card issuer must disclose up front all of the fees and charges that apply to each specific credit card. You can review these charges when you apply. You’ll also receive a copy of the card’s terms/conditions and benefits guide when you receive your credit card in the mail. Do I need an income to get a student credit card? If you apply for a credit card and are under the age of 21, you will need to provide a source of income or have an adult over 21 sign for you. With that said, income can come from many sources (such as your parents), and you just need to show enough to be able to make minimum payments on the credit card. You can usually apply for a credit card if you are 18 years of age or older. Some credit cards offer an initial period of time after you’re approved for the card that there is no interest charged on purchases and/or balance transfers. For example, if you purchased a mattress for $500 on a card that had a 0% APR period for 6 months, as you pay it off before the 6 month-period ends, you will not be charged interest. Also, if you have a high-interest credit card balance, you may transfer that balance to a credit card that has a 0% APR period for balance transfers and pay off that debt over the 0% APR period. Fees can still apply to balance transfers even though you are not charged interest. It’s also important to note that interest rates are very high after the initial 0% APR period, so it is imperative that you pay off the amount owed before the deadline to avoid incurring these charges. What does a hard pull on my credit report mean? Credit card issuers need to look at your credit report to view your creditworthiness before granting you credit. There are 2 types of inquires a credit card issuer can make to retrieve this information: a soft inquiry or a hard inquiry. A soft inquiry means that a credit card issuer may just look at your report to see if you might be a match for one of their products. This inquiry does not affect your credit history or score. A hard inquiry or “pull” is done once you have given permission by completing and submitting a credit application. This inquiry affects your credit minimally and for a short period of time. The inquiry/pull is also recorded on your credit report. Too many hard pulls can affect your credit score negatively.